Doug Wilson has been around the NHL for a long time, from his 16 years as a player to the last nine as general manager of the San Jose Sharks, and thought he'd seen just about everything. And then came the third period of the Sharks' game Dec. 17 against the Edmonton Oilers. Martin Havlat, one of the team's biggest offseason additions, tore his hamstring hopping over the boards to get on the ice. The injury sidelined Havlat three months, and put a huge crimp in the Sharks' season. "I haven't seen one like that in many years," Wilson told NHL.com. The Sharks acquired Havlat a week after sending Devin Setoguchi to the Minnesota Wild as part of the deal for Brent Burns. Wilson believed he had to upgrade his team's speed after losing Setoguchi, and traded Dany Heatley to the Wild for the two-time All-Star. Havlat is one of the better skaters in the League and had more than 50 points seven times in the previous 10 seasons. However, he also had a fairly lengthy injury history, having played more than 70 games just five times in that same decade-long span. Wilson felt that since Havlat had played 73 and 78 games the previous two seasons in Minnesota, maybe all the injury problems were behind him. After missing the first four regular-season games recovering from a shoulder injury from the 2010-11 campaign, Havlat played well, with 15 points in his first 26 games. Then disaster struck that night against Edmonton. 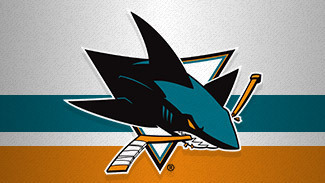 With Havlat out for the next three months, the Sharks went 17-15-7. When Havlat rejoined the lineup, his impact was big -- the Sharks went 9-4-0 after he returned March 15, and went from one point out of a playoff spot to finish seventh in the Western Conference. "Marty is an important player for us," Wilson said. "If you look at our record with him in the lineup, it was very good. We missed him." The numbers bear Wilson out -- the Sharks went 25-11-3 with Havlat in the lineup, and just 18-18-7 without him. That's why Havlat's health could be a huge factor in the Sharks' success this season. "Having him back 100-percent healthy will make a big difference," Wilson said. "He's trained all summer and looks tremendous. He's an important part of this team." A healthy Havlat certainly gives the Sharks an impressive top-six forward group that likely will include Joe Thornton, Patrick Marleau, Joe Pavelski, Logan Couture and Ryane Clowe. Wilson also believes a healthy Havlat will be a more productive Havlat. He had just seven goals in 39 games, which even if he played an 82-game season comes out to 15 goals, the fewest he would have had in a season in which he played more than 35 games. Because of the injury, Wilson believes Havlat never had a chance to build a relationship with the rest of the team. He expects that to change in season No. 2 with the Sharks. "He's very excited to get back at it because it's almost like he didn't really have a chance to integrate with our team," Wilson said. "He got in, got going, was playing well when he got hurt and the next thing you know he's gone for a while with this hamstring thing. "We expect him [to integrate fully] now that he's had a full summer to train and rehab. He looks tremendous."